As enablers of an increasingly interconnected world, Information and Communication Technologies (ICTs) constitute valuable tools in processes of transformation and change. Deeply embedded into the socio-economic fabric of both developed and developing countries, the role of ICTs is gaining momentum as part of sustainable development, environmental and climate change strategies. Acknowledging their ubiquitous role in our society, from the way in which we communicate, network and interact, to the way in which we learn, play, conduct business or access government services, among others, ICTs are a key part of the ‘present we have’. But how about of ‘The Future We Want’? ‘The Future We Want’ was the motto of the Rio+20 conference on sustainable development that took place in Rio de Janeiro, Brazil in June 2012. While the conference addressed a broad range of issues, including the role of a green economy towards sustainable development and poverty reduction and the improvement of international coordination, the role of ICTs was recognised in a number of ways. Article 44 of the outcome document recognises the role of ICTs facilitating the flow of information between governments and the public, enabling public engagement in sustainable development. The document calls for governments to “work toward improved access to ICT, especially broad-band network and services, and bridge the digital divide, recognizing the contribution of international cooperation in this regard”. Article 65 of the outcome document acknowledges the potential of ICTs to promote knowledge exchange, technical cooperation and capacity building for sustainable development. The article emphasizes the role of these tools in fostering experiences and knowledge sharing in different areas of sustainable development in an “open and transparent manner”. With the aim of improving agricultural productivity and sustainability, Article 114 of the outcome document calls for government action to improve access to “information, technical knowledge and know-how, including through new ICTs that empower farmers, fishers and foresters to choose among diverse methods of achieving sustainable agricultural production”. Article 128 of the outcome document recognizes the need to improve energy efficiency and the role of energy-efficient technologies in addressing sustainable development and climate change goals, including energy efficiency measures in urban planning, buildings, and transportation, and in the production of goods and services. These constitute areas in which ICTs have proven potential to reduce emissions through ‘smart’ applications (e.g. smart motor systems, smart logistics, smart buildings and smart grids). Recognising the importance of youth education and of ensuring that education systems provide the tools to pursue sustainable development, Article 230 of the outcome document calls for a more effective use of ICTs to enhance learning outcomes. The document also acknowledges the role of ICTs in indirect ways by stressing the need to support initiatives such as the Global Environmental Outlook process led by the United Nations Environment Program (UNEP), the Agricultural Market Information System hosted by the Food and Agriculture Organization (FAO), as well as the need to develop comprehensive hazard and risk assessments and reliable geospatial information, among others. In addition to their inclusion into the final outcome document, several key international stakeholders organized ICT side events during the Rio+20 process, aimed at raising awareness on concrete ICT applications, benefits and challenges to address sustainable development, environmental and climate change goals (*see list of ICT-related side events). The increasing diffusion of ICT applications, from interactive Web portals, text messages (SMS), community radio, mobile phone-based monitoring systems, community mapping or social media tools such as Twitter and Facebook, among others, is offering new mechanisms for empowerment, engagement and multi-stakeholder participation in the processes of change and transformation that surround us. 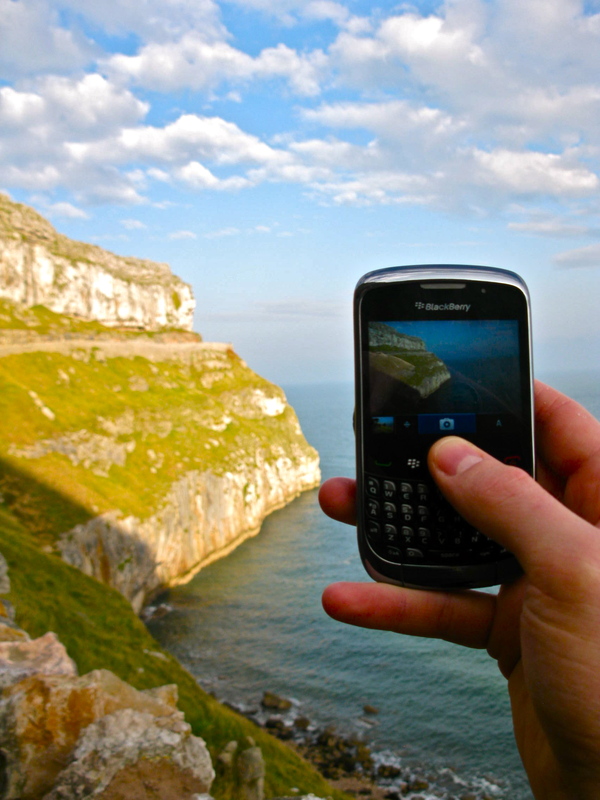 Emergent experiences, particularly from developing countries, suggest the potential of ICTs in face of the challenges posed by pervasive poverty, environmental degradation and climate change impacts. However, for ICTs to be truly transformative, there needs to be a solid basis of awareness and a better understanding of their role in the achievement of sustainable development goals, particularly among policy and decision makers. This includes the potential and risks involved in the use of ICTs within specific development settings, as well as the enabling environment required for the implementation of ICT solutions in the field (e.g. regulations, standards, financial, institutional and human resources etc). The recognition of ICTs in the Rio+20 process -as the focus of several preparatory meetings, side events and discussions, and as part of ‘The Future We Want’ outcome document- constitutes an important step to raise the awareness of policy makers on the value of including ICTs as part of sustainable development processes and strategies, and to foster multi-stakeholder dialogue and collaboration in this field. Further work will be required towards the development of policy instruments of governance and management (e.g. 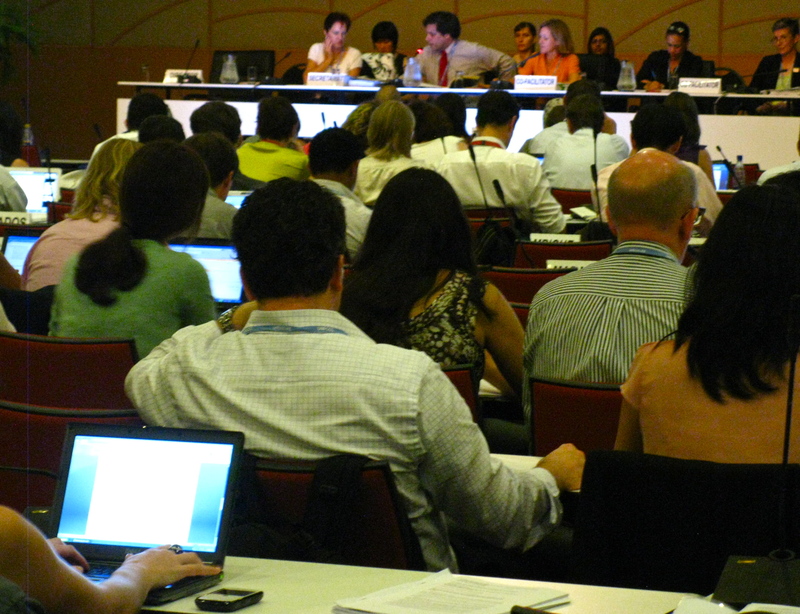 legal norms such as laws, decrees and enforcement actions, licensing, planning and funding regulations) that help create an enabling environment where ICTs can effectively contribute to the achievement of sustainable development objectives, including those related to climate change mitigation and adaptation. At the same time, as acknowledged by the ITU in their input to Rio+20, efforts will need to be made towards the identification of concrete targets and a specific ‘roadmap’ for the utilisation of ICTs as part of sustainable development strategies, as well as to mobilise the financial and human resources required to implement ICT strategies towards ‘greener’ and more resilient societies at the international, national and local levels. While the recognition of ICTs’ role in key areas of sustainable development (i.e. multi-stakeholder engagement, knowledge exchange and capacity building, food security and sustainable agriculture, energy efficiency and education) contributes to awareness raising and future collaboration in this field, many other areas of potential, resources and specific targets of action remain to be defined. Rio+20 evidenced that much more needs to be done for ICTs to help bridge the gap between the ‘present we have’ and ‘the future we want’, to translate political intentions into ICT practice, and to broaden the understanding of these tools to encompass their informational, productive AND transformative potential. -The United Nations Group on the Information Society (UNGIS) organised a side event during Rio+20 titled “ICTs, the Foundation of Our Sustainable Future”. The event was focused on specific ICT applications and services that can assist in the transition towards a green economy, and in discussing the enabling environment needed to facilitate the uptake of ICT applications. -The International Telecommunication Union (ITU) and the Ministry of Communications of Brazil organized a side event titled “Broadband and ICTs for Smart, Inclusive and Sustainable Societies”. Participants explored the opportunities and benefits offered by broadband and ICTs in the context of sustainable development, as well as the challenges and solutions for the application of broadband-enabled innovation. -The International Telecommunication Union (ITU) and the World Intellectual Property Organization (WIPO) were also involved in the preparatory process of Rio+20, hosting a side event on “The Future We Want with ICT and Innovation”, held during an Intersessional meeting, march 2012) to highlight the role of information communication technologies (ICTs) in achieving a sustainable future.